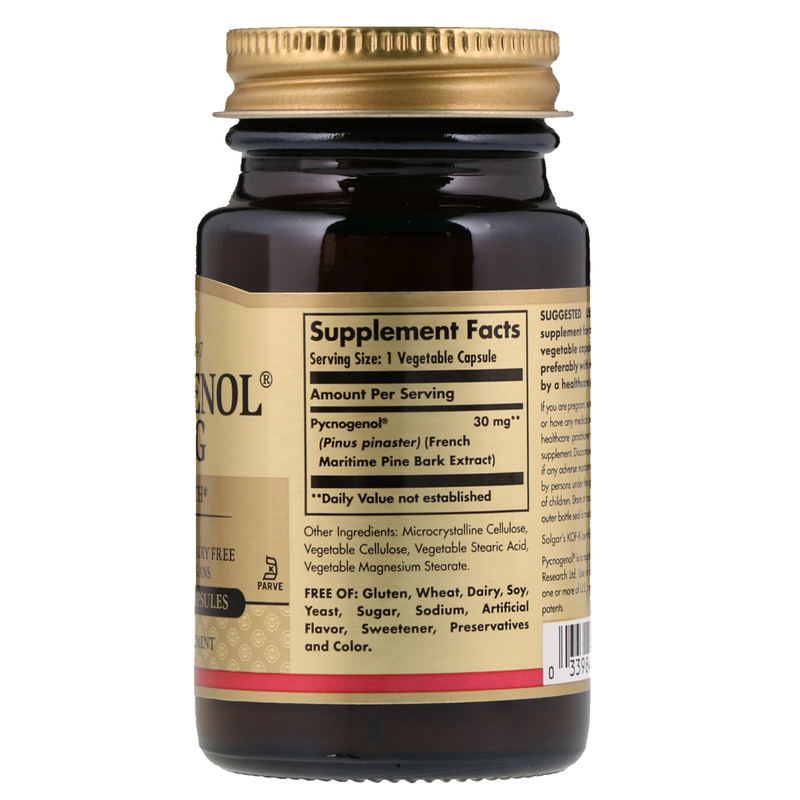 Pycnogenol is the extract from the bark of the French maritime pine tree, which grows in south-west France. It is a natural, concentrated source of plant-derived proanthocyanidins, a complex of naturally-occurring flavonoids and other biologically active components. 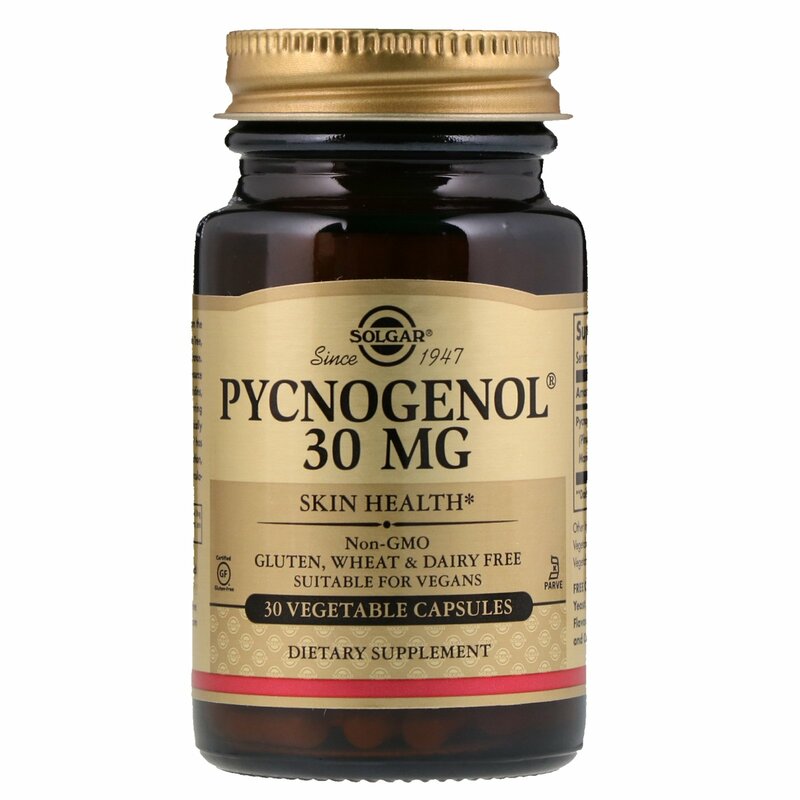 Pycnogenol has antioxidant properties. In addition, this unique extract supports circulatory, joint and skin health. As a dietary supplement for adults, take one (1) vegetable capsule four times daily, preferably with meal or as directed by a healthcare practitioner. If you are pregnant, nursing, taking any medication or have a medical condition, please consult your healthcare practitioner before taking any dietary supplement. Not intended for use by persons under the age of 18. Keep out of reach of children. Store in a cool, dry place. Do not use if outer bottle seal is missing, torn or damaged.